Q: What is a waiver and do I have to do it online? A: The waiver acts as a disclaimer, accidents happen. Follow the safety rules and staff instructions and you'll be fine. Yes, you should submit a waiver online, it saves you time when you check-in. We provide tablets should you prefer to fill it in on-site, just arrive early to do so. All jumpers need a waiver regardless of age, no exceptions. If you are <18yrs old, your parent or legal guardian should be submitting the waiver for you. Q: When are you open and prices? A: Our hours and pricing information are posted on the pricing page of this website. All bookings are prepaid and we do not hold/reserve slots. Q: Do I have to pay online or can I walk-in? A: It is fine to pay at the register but booking online guarantees you a slot. Walk-ins are welcome if space is available, please check our calendar for available jump sessions. 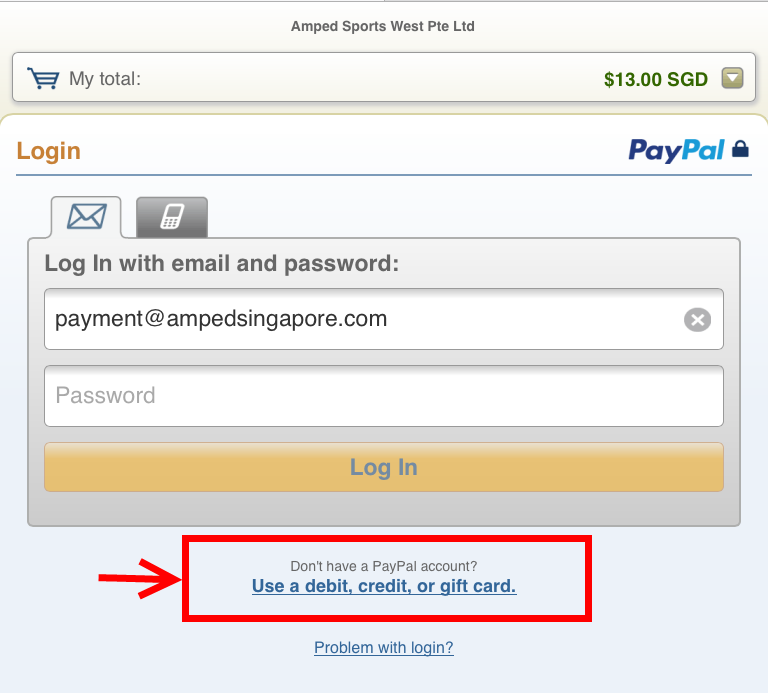 Q: I do not have a Paypal account, how do I pay using a credit or debit card? 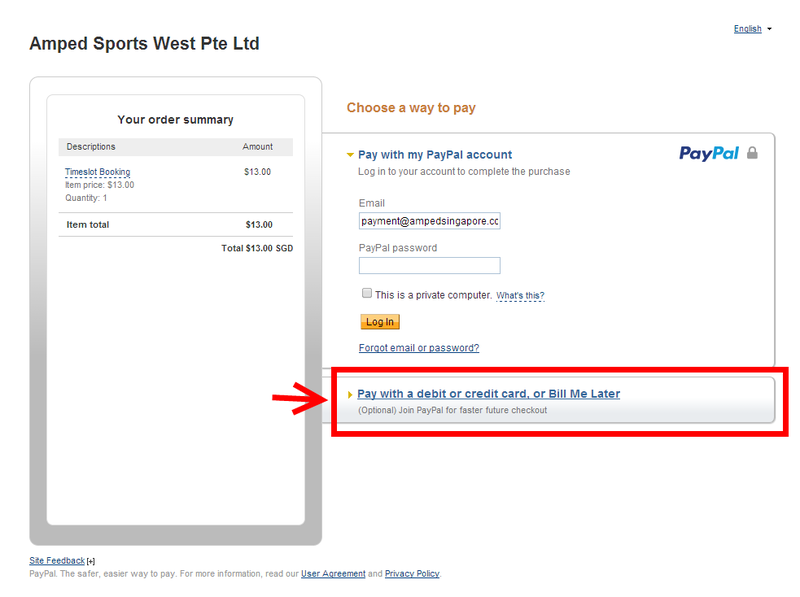 A: Note you do not need to have a PayPal account to use the online PayPal system. Please select "PayPal" as payment method, after being transferred to PayPal's website, on the "Choose a way to pay" section, select the "Don't have a PayPal Account" option to use a credit/debit card. Click on reference screenshots for more details. A: All ages are welcome. We have divided our hours into categories: 11 and under, 12 and older, and All Ages, for the safety and enjoyment of our patrons. Each child under 4 years old must have one parent with them on the trampolines for safety purposes, there is no charge to the parent. Age 5 – 11 requires a parent or responsible guardian be on the premises. Minimum age? We recommend that your child be able to walk and jump by themselves to have maximum fun. Q: Is there anywhere to just sit and watch? A: Absolutely. There is no charge for spectators. Q: What exactly do I do in a trampoline park? A: We have many interconnected trampolines and fun features. Bounce around from one trampoline to another, have fun trying all the features and activities we provide, ranging from foam pits to basketball and dodgeball courts. A: Your ID to verify the online waiver and a pair of grip socks. You must wear grip socks at all times on the trampolines. We sell grip socks but you are welcome to bring your own. This is also noted in the safety section. If you are 11 years of age or younger, bring a parent or guardian. Q: How early should I show up? A: We recommend all jumpers arrive at least 15 minutes before their jump session to allow for check-in, waiver verification and safety briefing. Sessions end on time and late comers will experience loss of jump time. Q: Why can't I book for a slot in the future? A: For general and small party bookings we open the calendar up to 30 days ahead so you may need to wait for the desired slots to be made available. *This restriction does not apply for full facility rentals. A: Please read the safety section. There is no question that inherent risks are part of any sport or physical activity, but injury rates on commercial trampolines average only 10% of almost all other organized sports and are even lower than bowling! The largest risk of injury results when a large jumper collides with a small one so please follow the rules and pay attention to staff instruction. Q: Are there any lessons available? A: Currently no, we are working on it. Q: Is there a weight limit to be on the trampolines? A: Weight limit is 120kg and we do recommend to everyone that they jump within their own physical abilities.